Learning Target 7.4.1 - I am learning to solve problems with scale drawings of geometric figures. Here is a portrait of a student. 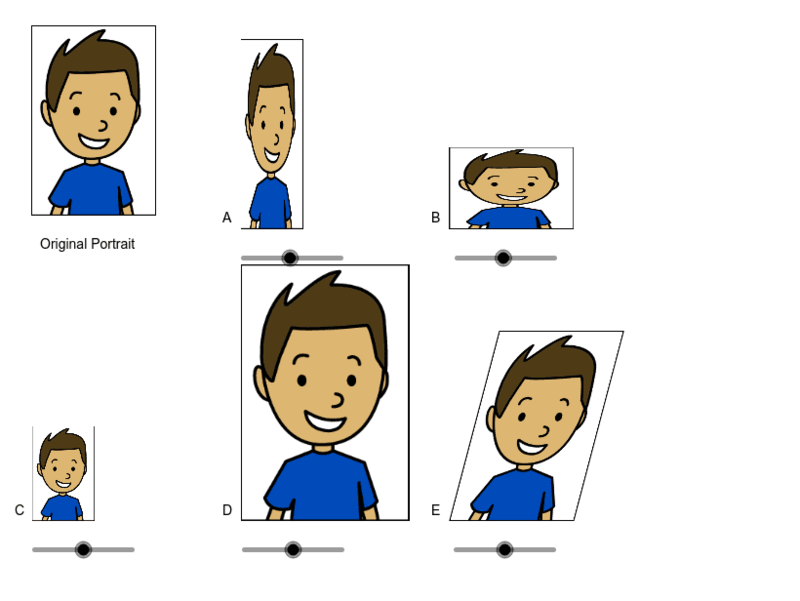 Move the slider under each image, A–E, to see it change. 1. Which images are most like the original? Which are least like the original? Explain your reasoning. 2. Some of the sliders make scaled copies of the original portrait. Which of the Portraits A–E do you think are scaled copies? Explain your reasoning. 3. What do you think “scaled copy” means?